Surfing is great year-round ! Click below for videos. 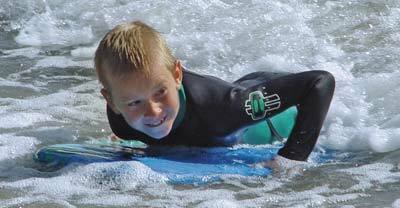 Complete surfing rentals, and retail sales of bodyboards, wetsuits, and a variety of surfboards. Childrensizes available. Great clothing, skateboards and skimboards too. Established in 1984 www.livetosurf.com. Offering an unforgettable west coast experience since 1998. Join in on the fun & take a lesson with our certified, passionate instructors, or check out our rental department for all your water needs. 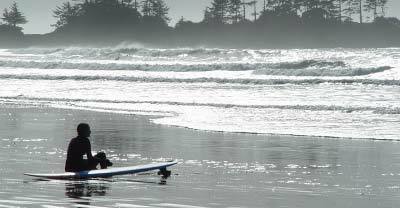 We offer the most comprehensive surf & SUP lessons on Canada's west coast. With lessons, camps, and rental gear for the beginner to advanced surfer or paddle boarder enthusiast, we are a one stop shop! www.pacificsurfschool.com. 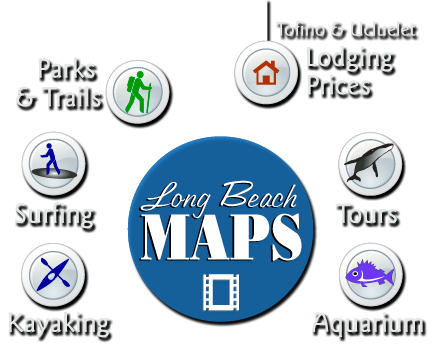 LONG BEACH SURF SHOP: 250-726-2700 2060 Peninsula Road. Indoor pool, sauna, & 3,000 sq. foot state-of-the-art gym over-looking the marina. Drop-in shower facilities. Open Monday to Sunday 9AM-9PM Sunday 9-6. @ Westcoast Motel www.westcoastfitnesscentre.com.